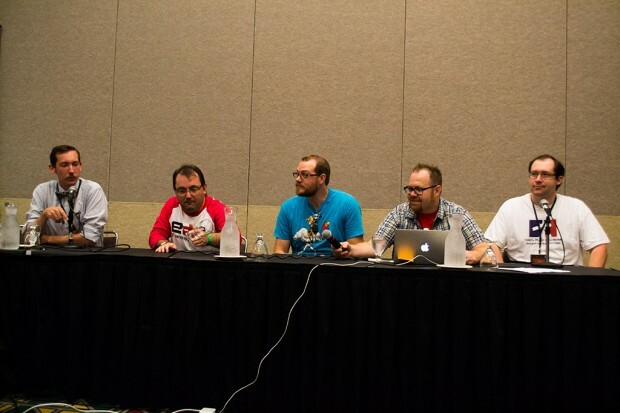 Sept. 7, 2013 brought the first Salt Lake Comic Con 2013 to an epic close. 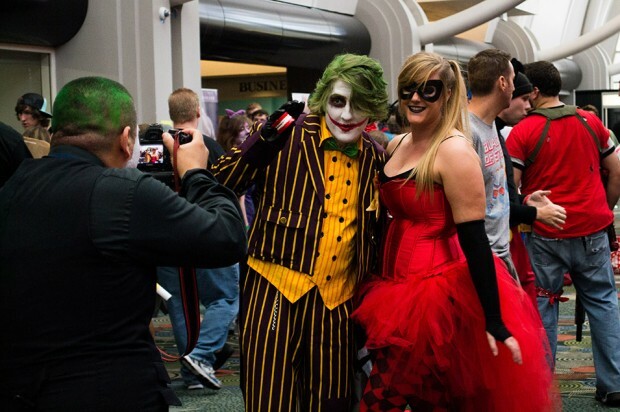 With the Salt Palace Convention Center packed to capacity, “Globe” photographer James Nguyen captured some of the fun on the final day. 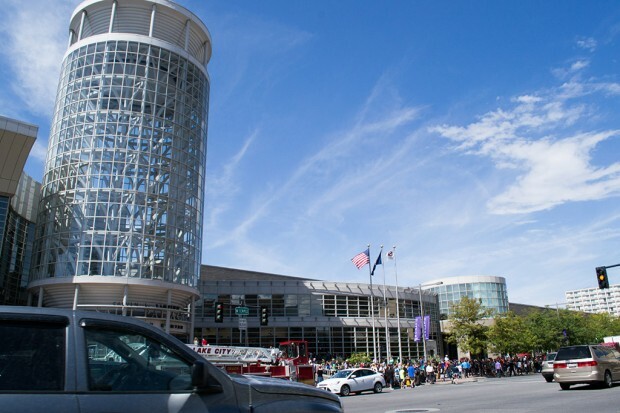 A large crowd outside the Salt Palace Convention Center on the last day of Salt Lake Comic Con 2013. 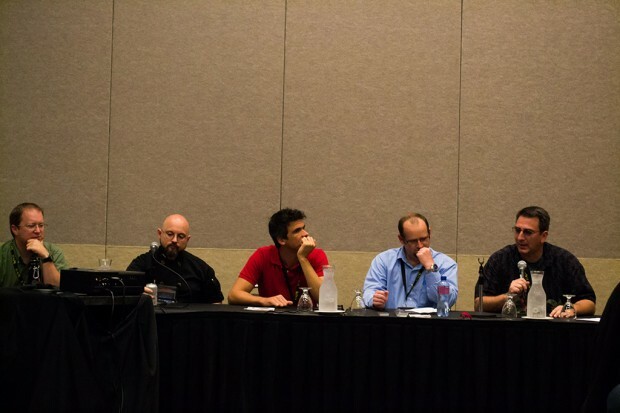 Panel for “Utah Women In Film” discussing roles women play in the film industry. 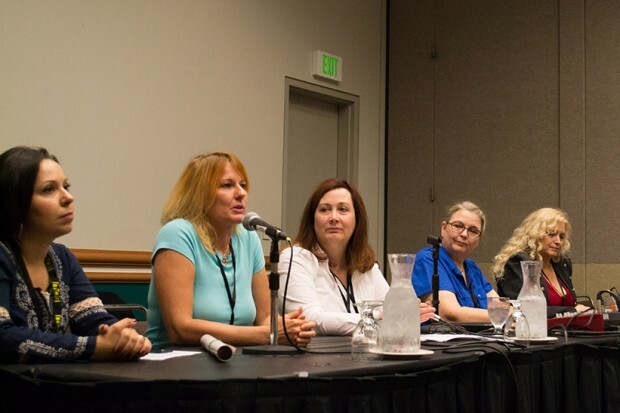 From left to right: Daniela Larson, Kathy Jarvis, Connie Wilkerson, Tanya Brand. 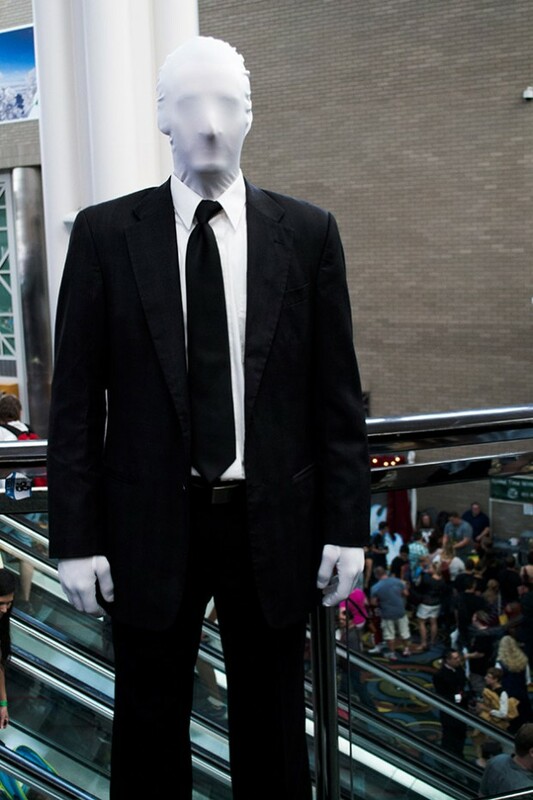 Slender Man from the popular web meme originating from Something Awful forums. 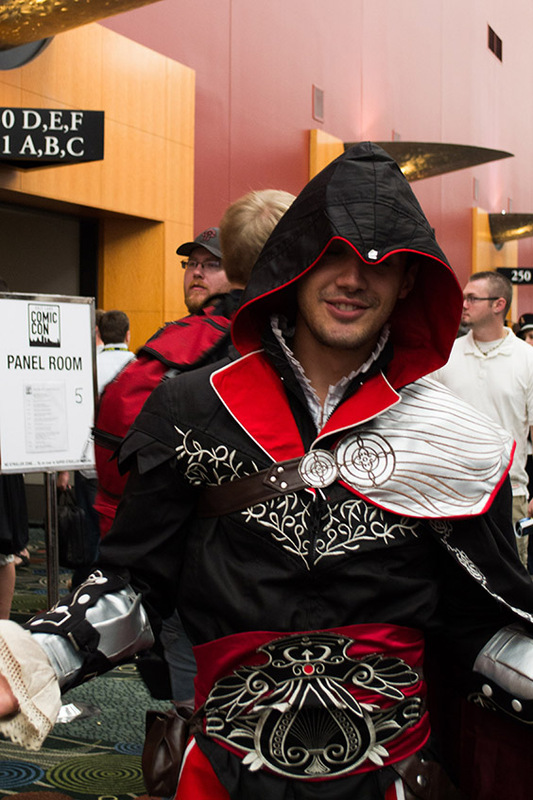 Salt Lake Comic Con attendee James Southland as Ezio from the popular “Assassin’s Creed” games. 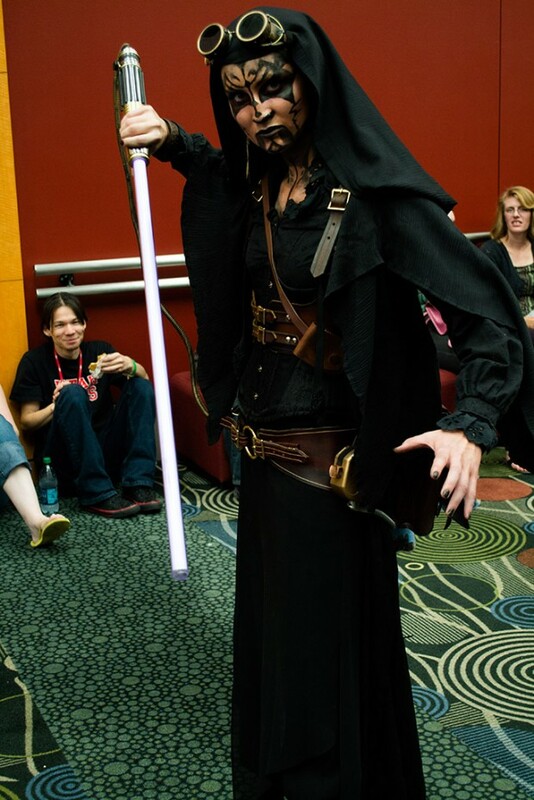 “Star Wars” characters are a popular theme at Salt Lake Comic Con 2013. 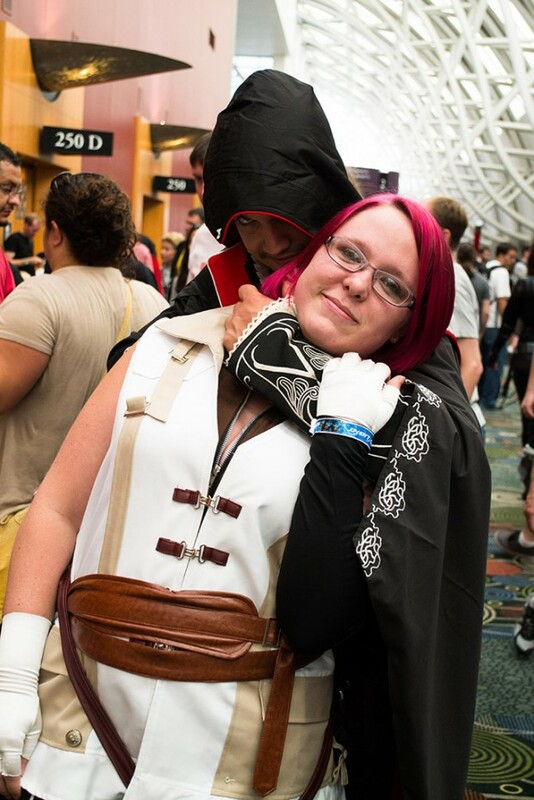 James Southland (Ezio, “Assassin’s Creed”) uses his assassin skills on Sami Edwards (Lighting, “Final Fantasy XIII”) at Salt Lake Comic Con 2013. 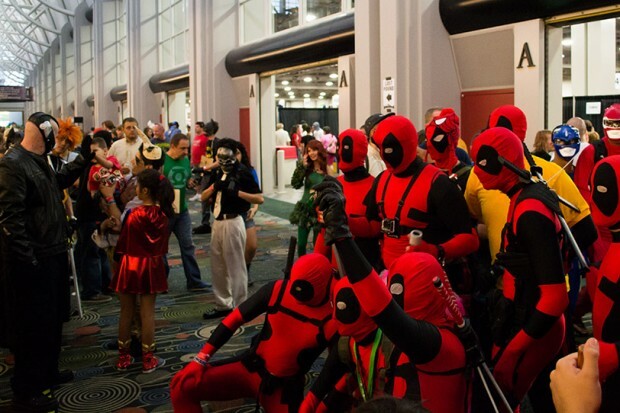 Salt Lake Comic Con has given attendees a chance to capture awesome photos. 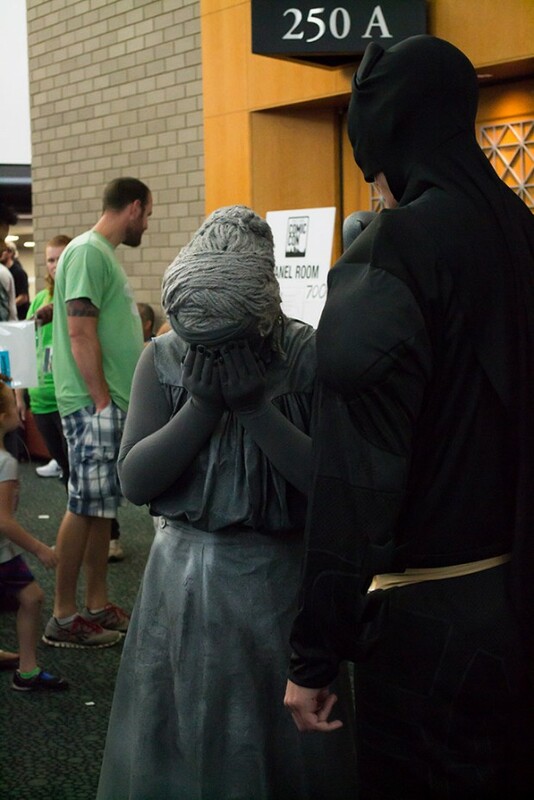 The Dark Knight leers over a gargoyle at Salt Lake Comic Con 2013. 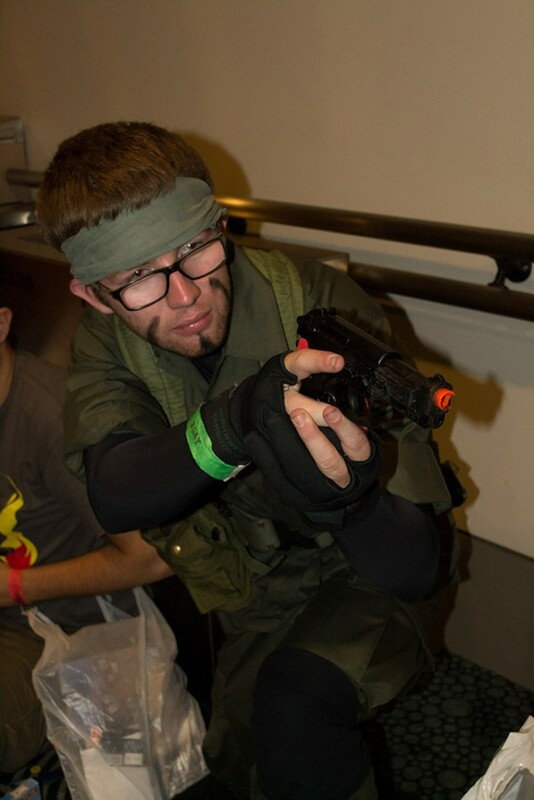 Dylan Bone dresses up as as Snake from the popular Metal Gear games during Salt Lake Comic Con 2013. 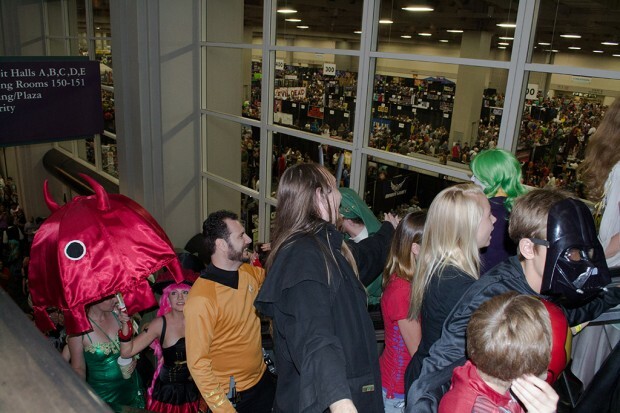 The first Salt Lake Comic Con also became the largest convention in Utah.